PARAGUAY. Mixed Banks. Mixed Denominations, Mixed Dates. P-Various. Proofs Mounted on Cardstock.Approximately 68 pieces in lot. 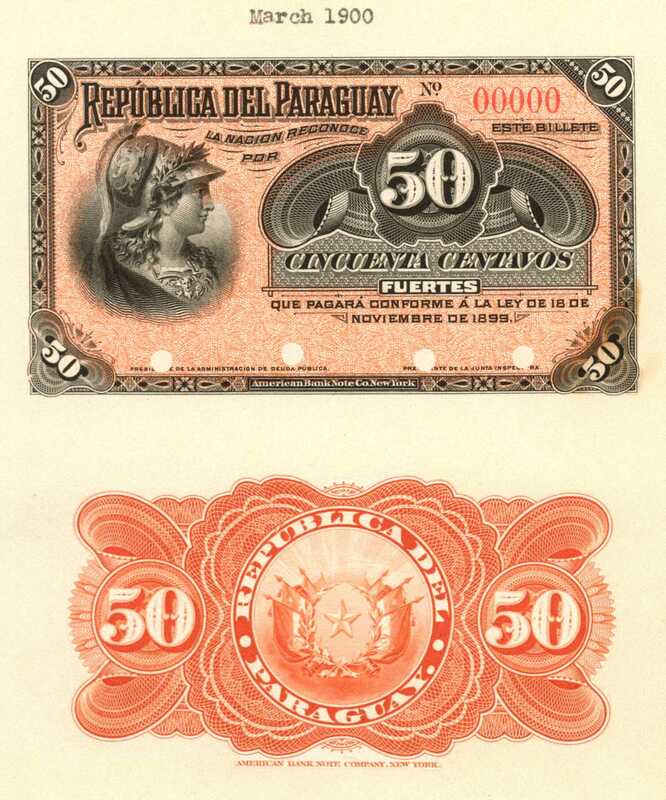 A beautiful grouping of rare Paraguay Proofs with mostly face and back proofs on the same page. The pieces are mounted on cardstock and the pages are from a book, although the binding is not included. A full listing of the Proofs included in this lot are as follows: Pick 95, 96, 97, 98, 99, 100, 101, 102, 103, 104, 115, 116, 117, 118, 120, 121, 122, 123, 124, 137, 138, 139, 140, 141, 142, 143, 144, 145, 146, 148, 149, 149, 150, 150, 151, 152, 153, 154, 155, 165, 166(back only), 167, 168, S121, S122, S123, S124, S125, S126, S127, S141, S142, S143, S144, S145, S146, S149, S150, S151, S152, S161, S162, S163, S164, S165, S166, S167, & S168.